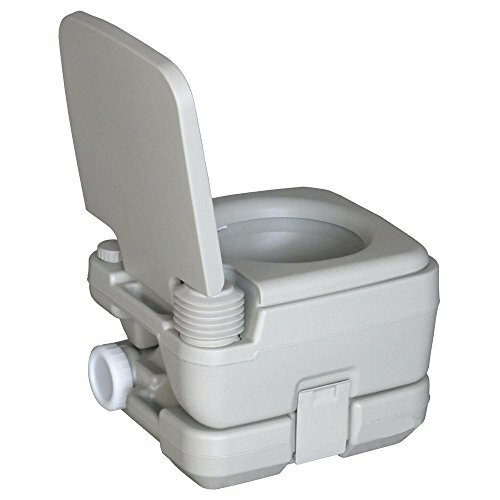 This is Portable Toilet With 2.8 Gallon /10L Holding Tank, Which Is Of Comfort, Convenience And Environmental Protection, Has An Innovative Product Design And Robust ABS Quality (Good Dimensional Stability) With Shiny Surface. This High-Quality Toilet Offers Powerful Flushing With Less Pumping As Well As Splash-Free Operation And Discharge. What's More, It Is Easy To Use Push-Button Operation. This Portable Toilet Is A Great Unit For Anyone Who Despises Using Public Port-O-Potties Or Camps Where There's No Public Facility. It Is Great For Camping, Outdoor Recreational Activities And Road Trips.